I don't know about you but when it comes to planning presents for Mother's Day I'm beginning to run out of ideas. How on earth do you even begin trying to find the perfect gift for the most important woman in your life? If, like me, you are completely fed up of buying flowers and chocolates for your Mam then this year you might fancy treating her to something a little different. 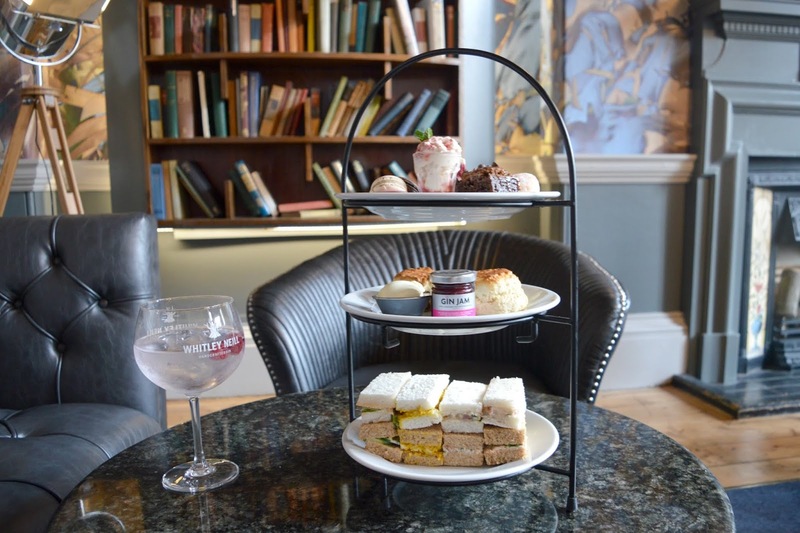 How about Pinkster Gin Afternoon Tea at The Union Rooms in Newcastle? 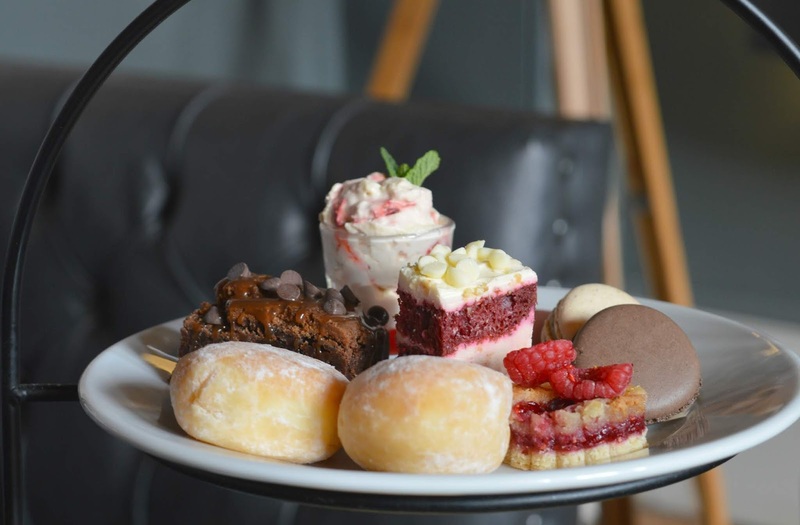 The ultimate Mother's Day treat, what Mam wouldn't love to enjoy an afternoon of gossip over delicious glasses of pink gin and a fully loaded cake stand of treats? At the weekend I popped into The Union Rooms ahead of the big day for a little sneaky look at what you can expect! Confession time first, and I'm sure you're all going to disown me for this, I have never been to the Union Rooms before! Yep, I'm one of the few people that never ventured through its historic doors back in its Wetherspoons days to enjoy a cheeky tipple or two - I have no silly stories, no crazy nights out and no idea at all about what the Union Rooms looked like before its eagerly anticipated makeover. The Union Rooms plays a pretty major part in Newcastle's great history, first opening as a gentleman's club in 1877 with some pretty famous faces from North East history being members. I should imagine those walls have some stories to tell and really it was about time I finally got myself through the doors to explore one of the Toon's most iconic buildings. 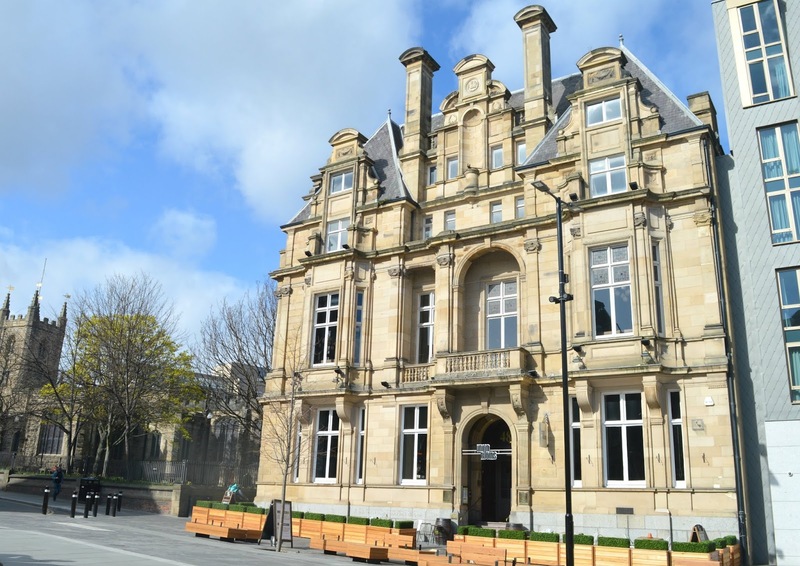 The Union Rooms reopened at the end of last year after a major redevelopment and, leaving their Wetherspoons days far behind them, with a new emphasis on good quality food. I had everything crossed as we settled down for afternoon tea, this needed to be brilliant - I mean you don't want to be treating your Mam to something rubbish do you? Exploring The Union Rooms for the first time I couldn't believe how many different areas there are to eat and drink in. The bar was buzzing with a live musician just taking to the stage (you'll find live music there every Sunday afternoon), I spotted a pizza oven in the restaurant and the Snug and Library are ideal if you want to chill out. My Pinkster Gin Afternoon Tea was served in The Library, a beautiful room filled with comfortable leather sofas, shelves loaded with books and an ornate fire place - the perfect location to treat your Mam to a relaxing afternoon, I also think that "taking afternoon tea in the Library" sounds pretty special and very fancy! Important things first, the Pinkster Gin which I had never tried before. A British Gin made with real raspberries it is absolutely delicious and yep I do now need to buy myself a bottle for home to add to my ever growing gin collection! 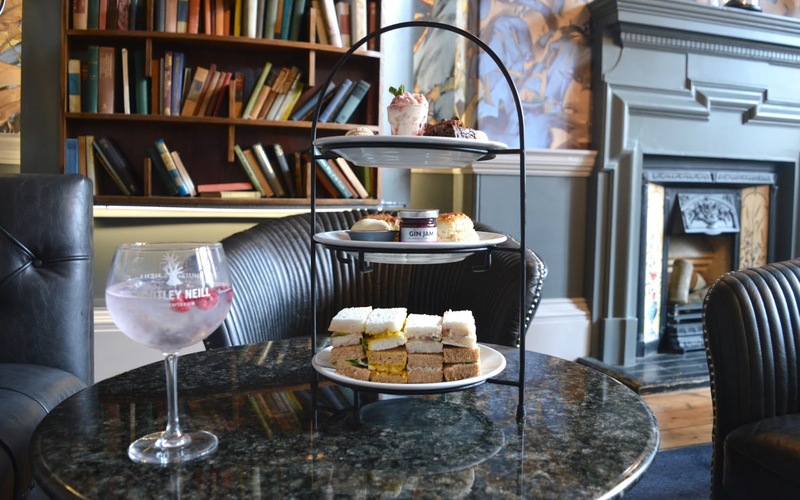 For someone who loves Gin so much I can't believe that this was my first ever Gin Afternoon Tea, it definitely made a very welcome change from the standard pot of tea and made it all feel a little bit special. 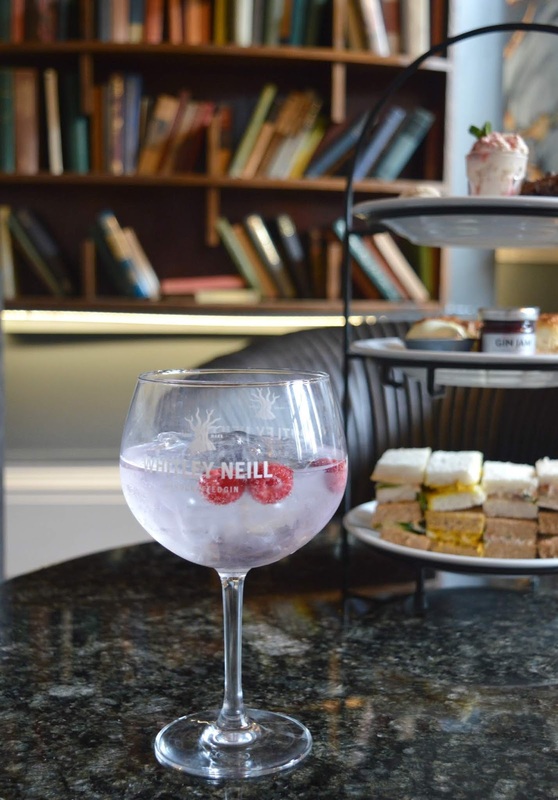 If your Mam loves gin she's going to love this! When the tea stand was placed in front of me I was very impressed with how it looked. It was really colourful (my pet hate is a beige cake stand!) and fully loaded with treats. There was so much food, I didn't know quite where to start so decided it'd be best to work from the bottom to the top. The Sandwiches were the first tier to be attacked and I was very impressed with how fresh and squishy the bread was (I always do the "squish test" when I'm having an afternoon tea) and how packed out the fillings were. 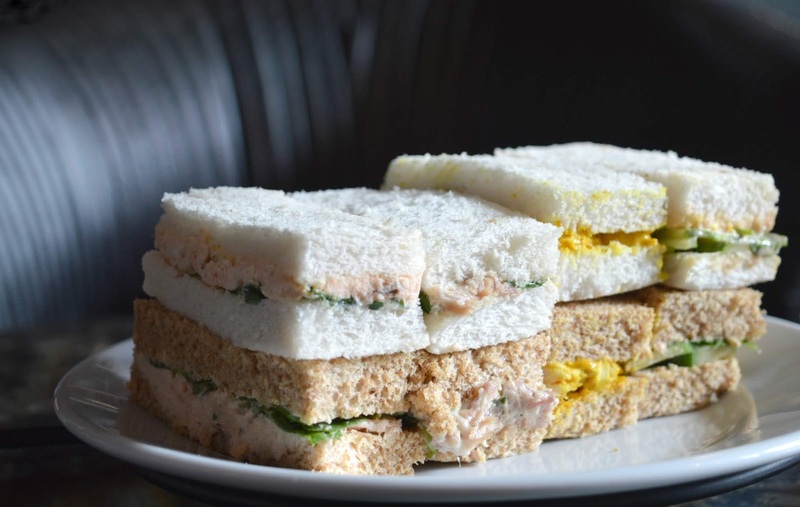 The sarnies were completely stuffed with fillings including St James Smoked Salmon, Dil & Cream Cheese, Coronation Chicken and Wiltshire Ham with Grain Honey Mustard. I tried desperately hard to polish the lot off but I was already getting full and I needed to save myself for the sweet stuff. Scones up next and I really loved that they were served with Pinkster Gin Jam such a nice added touch and it really took the theme of the tea to the next level. 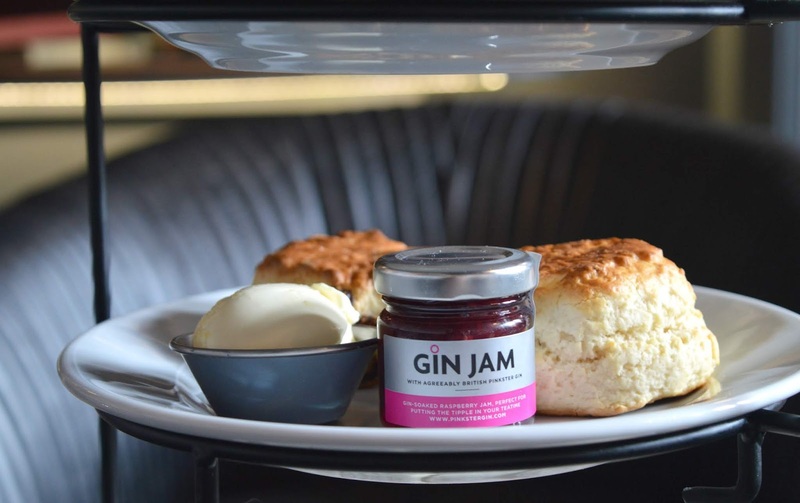 I'm not going to confess to you exactly how much gin jam I slathered onto the scones but it was definitely more than I really needed, it was just too good and was perfect with the thick clotted Cornish cream. 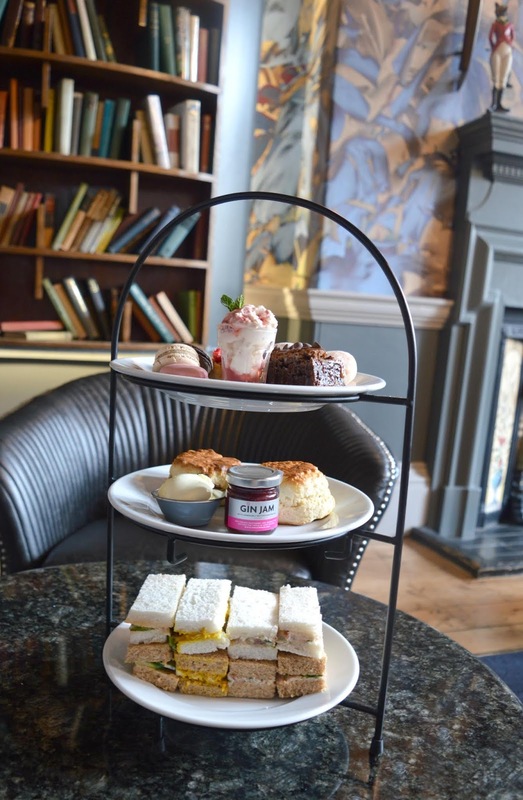 Of course, the very best part of any afternoon tea has to be the top tier, devouring an entire plate of cakes is always a joy! The sweet treats offered a great variety to choose from and I almost managed to make my way through the whole lot. Having never been a 'Spoons girl I very stupidly thought that The Union Rooms would still have the same cheap chain pub vibes so I was over the moon to discover somewhere that's most definitely the kind of place that Simon and I want to be. No longer a Wetherspoons, it's under new ownership and has a wonderful atmosphere, attentive staff, delicious food and great quality drinks. It's a complete step away from what it was before and personally I think that is only a good thing! 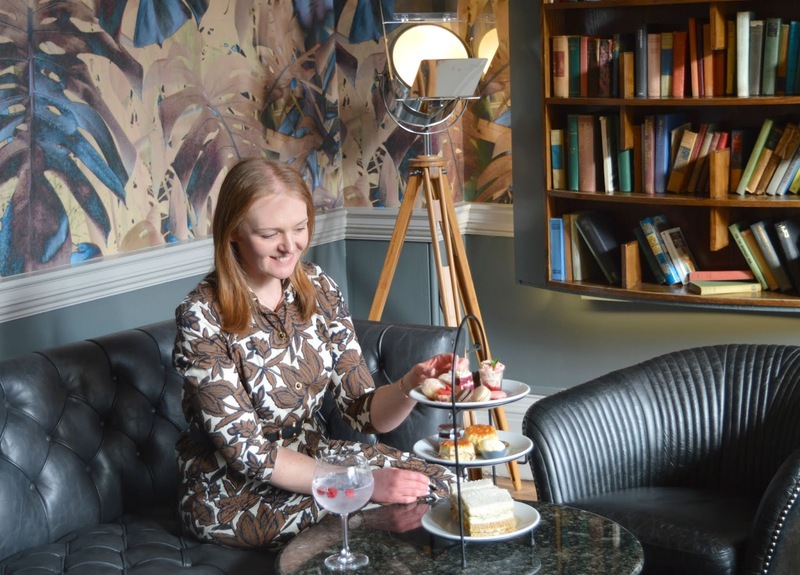 If you're yet to try the new look Union Rooms I highly recommend giving it a go and, if you're wanting to treat your Mam to something special in Newcastle this weekend, you know where to head! I can't believe I never went in the Wetherspoon days (although Simon insists that I did go once ... so why on earth don't I remember!) Ooooooooh yes, it'd be lovely for a hen! Porter Texas! Just wanted to tell you keep up the excellent job!